LifeTein: rabbit monoclonal antibody services. Please click here to get a rabbit monoclonal antibody service quote now! If have the ongoing project at other vendors, please contact us on how to provide the fresh spleen to us for the splenocyte isolation. Deliverables: Five clones. Full length heavy & light chain genes in a non-proprietary plasmid. 100ug purified antibodies. Strong Affinity: The rabbit monoclonal antibodies are 10-100 times higher affinity than mouse monoclonal antibodies. High Specificity: The rabbit monoclonal antibodies have improved sensitivity for assays with lower false positive signals. Improved Stability: The rabbit's IgGs have extra disulfide bonds for improved stability and shelf life. Broader epitope recognition: The rabbit antibodies recognize small molecules or haptens including lipids, hormones and small drugs. The antibodies can be raised for peptides with modifications, the protein with conformational epitopes or enzyme with cleavage sites. 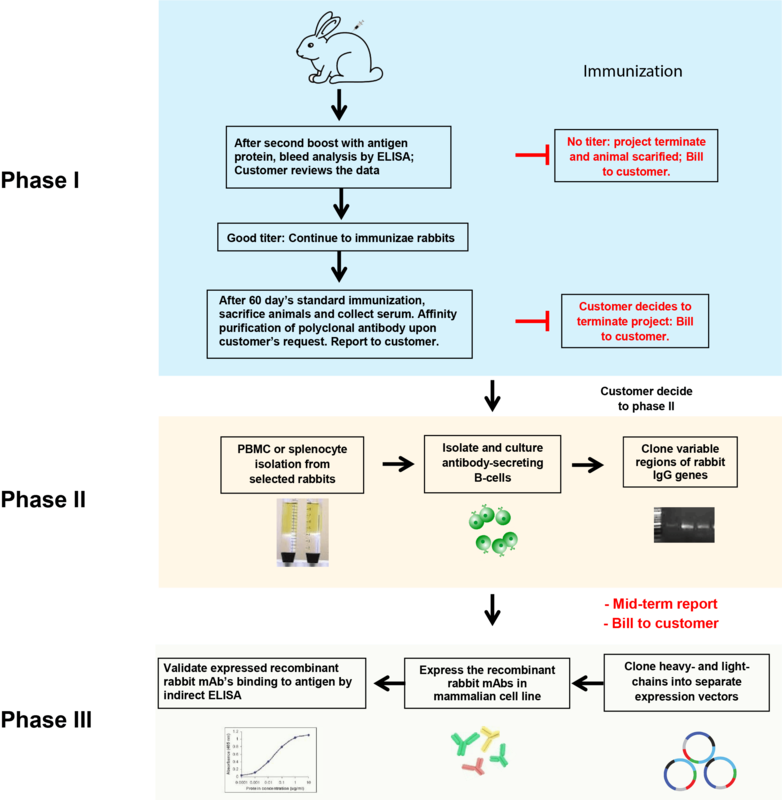 How is the Rabbit Monoclonal Antibody Made?